As per previous writing, in general disaster risk reduction is a systematic way to reduce the risks of disaster especially when disaster struck based on the disaster risks and risk assessment. Taking into consideration there are various types or nature of disaster then we can see that DRR is very wide-ranging. This time I will only write about the outline of DRR only. The concept and practice of reducing disaster risk through systematic efforts to analyze and manage the causal factors of disaster, including through reduced exposure to hazards, lessened vulnerability of people and property, wise management of land and the environment, and improved preparedness for adverse events. 1. Risk and degree of vulnerability identification. 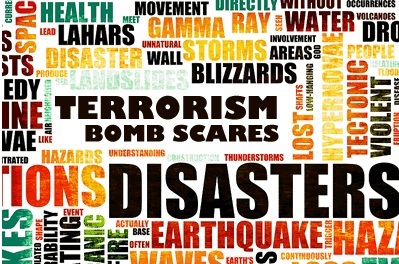 Identify type or nature of disaster, location, intensity, period of previous disasters to be able to see the level of probability or frequency of a threat or risk. The existence and degree of vulnerability of community and other resources including infrastructure condition should be identified as well. 2. Assessing the risk and degree of vulnerability. Risk analysis to determine the level of risk. Vulnerability analysis to determine the capacities of community and availability to reduce the level of risk or the effect of a disaster. This activity is to make decisions about which risks need priorities. 4. Conduct DRR activities based on priorities (evaluation).